The first publication of hundreds of archaeological objects from work in progress on the excavation and restoration of the palace of Philip II at Aegae. Excavations in the late 1970s in the modern village of Vergina revealed a series of spectacular royal tombs; one identified as belonging to Philip II and the others to members of Alexander the Great's immediate family. 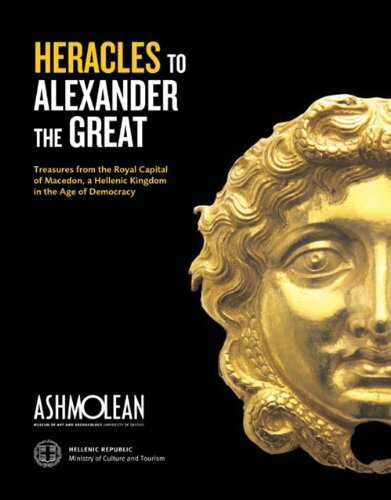 Remarkably preserved with much of their exceptionally rich contents intact, these burials take us on a journey back from the time of Alexander (d.323 BC) through classical and archaic times to the early years of the first millennium BC. The finds do not simply tell us of the wealth and social status of the deceased: they also reveal much of the ritual surrounding death. Apart from some items from this burial, exhibited in New York in 2006, and some spectacular items from the tomb of Philip, none of these new finds have been seen by the public in or outside Greece. The extraordinary discoveries will be shown for the first time at the Ashmolean Museum.